When you think of high-class flooring, there are probably a few materials that come to mind. One that stands up to most of life’s messes is stone tile. It is incredibly durable and has been proven throughout the years to increase home values across the country. When you are looking for stone tile flooring in Little Rock, AR, visit our showroom. We carry a vast inventory of quality name-brand tiles in a range of colors and styles. Because they’re made from a natural material, each tile is a little different, making your flooring truly one-of-a-kind. There are several stone tile floor types, including marble, granite, slate, and travertine. Each one has its own benefits and natural color schemes, and our professionals are happy to help you select the right one for your décor. The biggest benefit for many homeowners is the versatility that stone tile floors have, especially slate. Natural stone tile is durable and weather-resistant, making it an ideal material for both indoor and outdoor use. When you take advantage of stone tile floor installation inside your home, you can place it in high-traffic areas without worrying about it getting damaged from daily wear and tear. Stone is also great for kitchens and bathrooms, not only because it adds a touch of class, but also because it resists mold and mildew. Used outside, natural stone tile can be used for walkways or around pool decks. The limitations of this material are only your imagination. At our showroom, we take pride in helping our customers through each step of the flooring process. Our sales team guides customers to the right purchase decision by discussing their budget, style, and needs. Shoppers can view a variety of samples and take advantage of our in-house design services to get ultimate peace of mind before making their purchase. 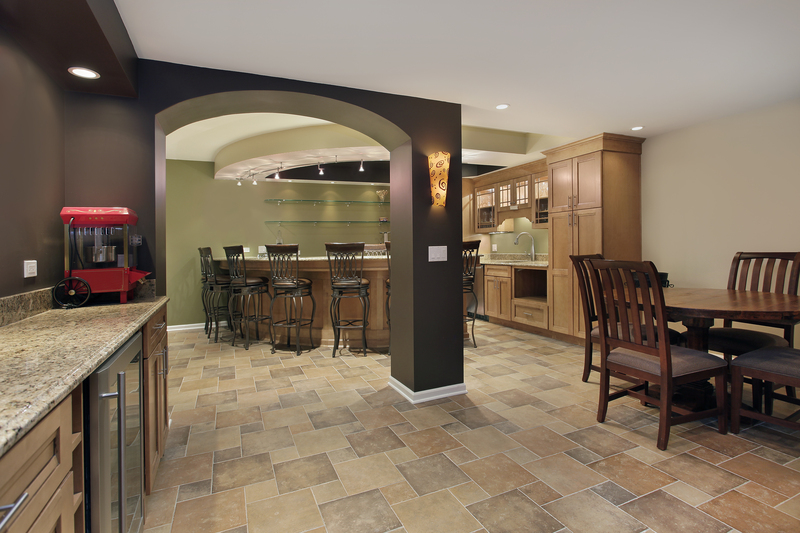 Our designers show you what your new natural stone tile flooring is going to look like in your home. By imagining the space before you buy, you can see if the colors work well with your décor and if the tile size is right for the room. Finally, our stone tile floor installation contractors work diligently to optimize the beauty and performance of the results. We are so confident in our installers’ skills that we back up these services with our Lifetime Installation Guarantee. If you experience an installation-related problem during the lifetime of the tile, we’ll fix it at our expense. Contact us today to learn more about our stone tile flooring. We proudly serve customers in and around Little Rock, Arkansas.